So I might as well start with my first two t-shirts. This first white tee is blady tiny! I stress this as it was something my dad wore and I feel time and tumble driers have shrunk this to a kids size, literally… I think my dad used to wear it as a vest when he went off road scrambling on his massive two wheeled beast. 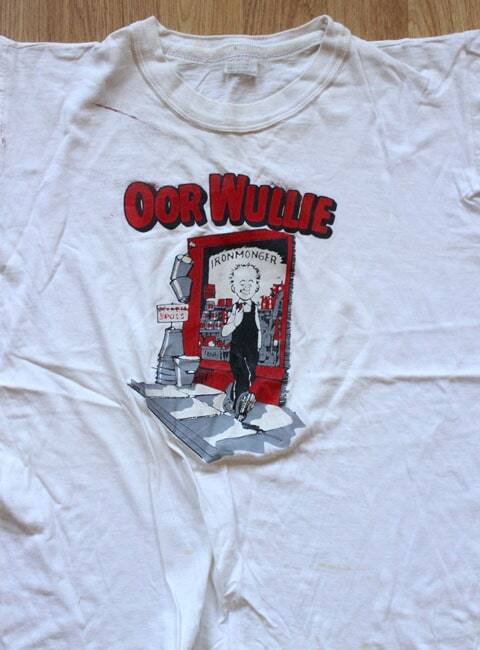 The t-shirt design is a character called Oor Wullie from an old Scottish Comic strip. 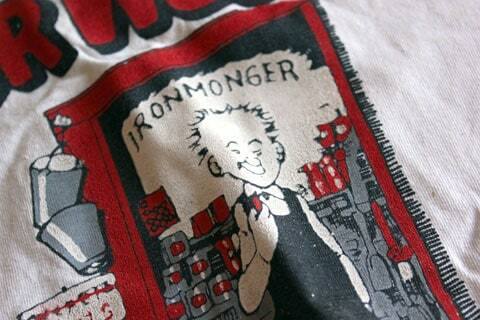 This lad was one cheeky bugger and so was Oor Wullie (badum tish). This tee is anywhere between 25-30 years old. 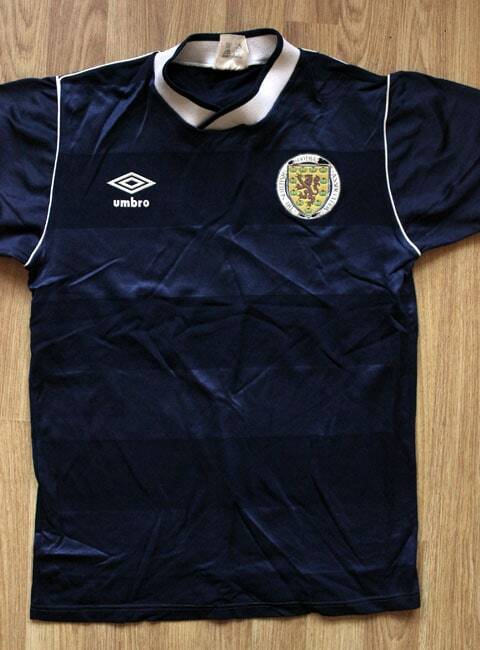 The second is the Scottish 1986 World Cup Football strip. I guess that in itself is relatively historical. These next t-shirts are from Ben. 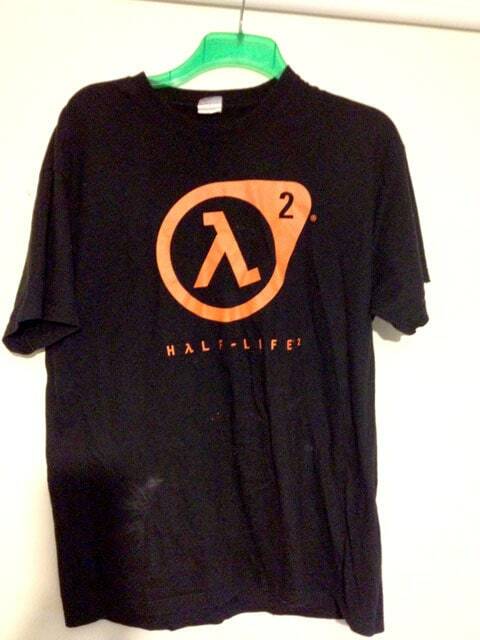 The first one is a signed Half Life logo t-shirt that was sent to Ben personally from Gabe Newell, CEO of Valve, the creators of the game Half Life. I find it ironic that this is a ‘Half Life’ logo t-shirt, that is actually about 7 years old. 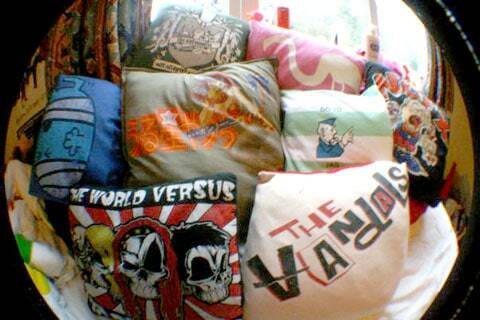 The next set of t-shirts have been reborn as cushions created by Ben’s mother. I’m sure you will agree with me when I say how unusual they are and cool at the same time. 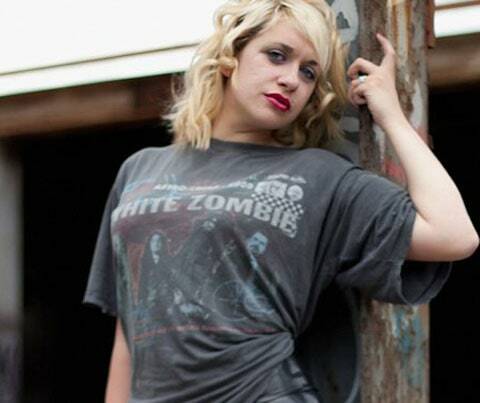 Dee La Beau (DEEHYA) brings this aged rock t-shirt to the table, a t-shirt that her ex boyfriend bought on the 1995 Rob Zombie tour. 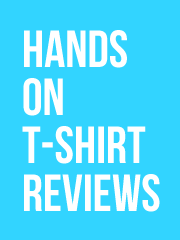 Dee now has this t-shirt, a sentimental reminder of the good times and because it’s damn comfortable. 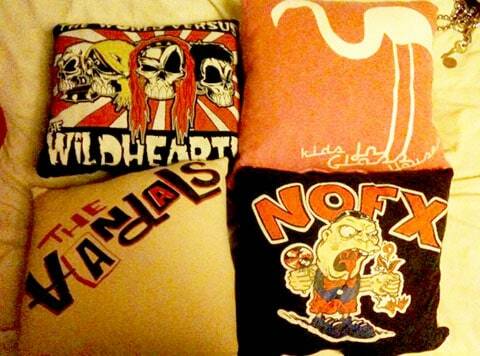 Dee rocks tees like no other! 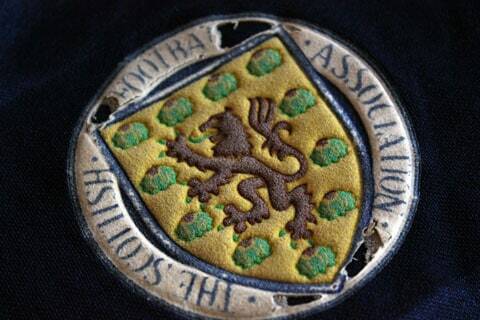 Trust Leah to trump the rest of us with regards to her jacket being old, very old actually. 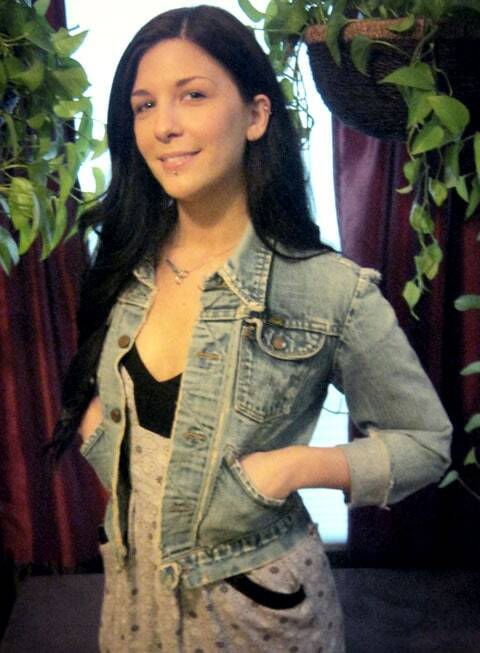 This Wrangler denim jacket was bought by Leah’s mom as a teenager in 1979. From that day forward it was worn religiously; so religiously in fact that she even wore it to church, much to the ire of her father. 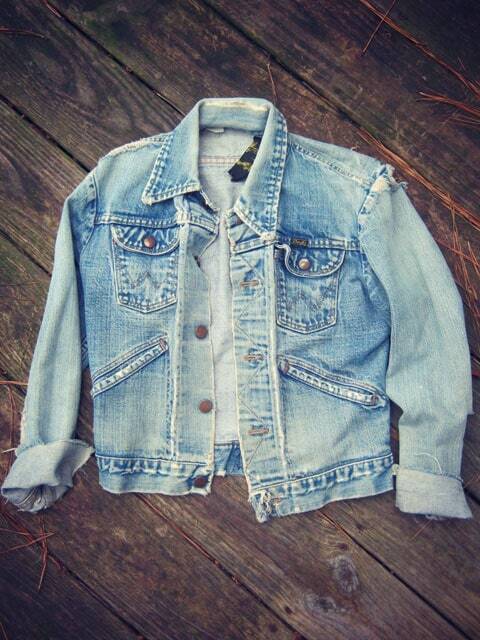 This infamous denim jacket took on a double life in later years when her mom met her father to be as they soon shared this jacket between them. Years later at her parents marriage, the confetti had barely settled and her mom was already wearing this jacket. 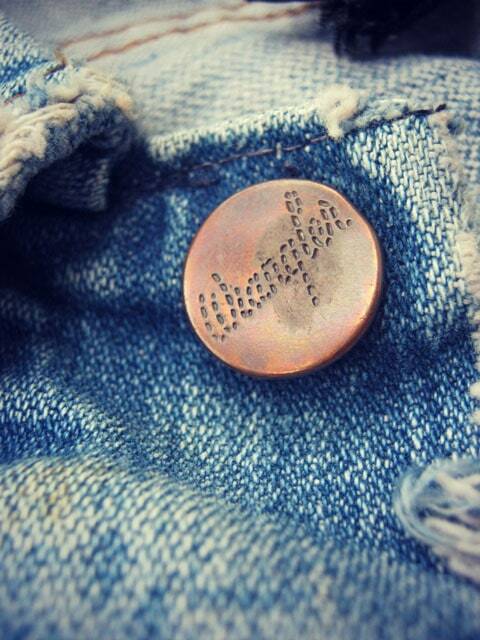 Class! Leah owns it now so who knows where it will be next. 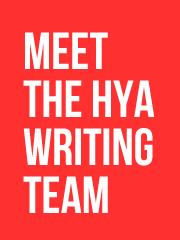 I will be creating more of these posts so if you the HYA reader are keen to share then send me some pics and info to doug@mrfourfingers.com. Do it. Next post: What’s new at the daily sites for May 7th?